The I.B.M. 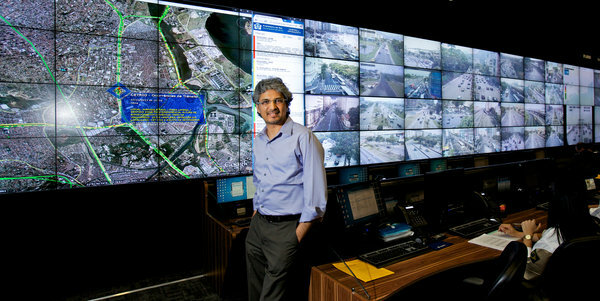 executive Guru Banavar in the command center that the company designed for the city of Rio de Janeiro. The center gathers data from 30 agencies, helping the city coordinate their work. NOT far from Copacabana Beach here is a control room that looks straight out of NASA. Eduardo Paes, left, mayor of Rio de Janeiro, at the scene of a building collapse in January. Rio's new operations center coordinated the emergency response, as agencies alerted hospitals, dispatched ambulances and closed streets. City employees in white jumpsuits work quietly in front of a giant wall of screens — a sort of virtual Rio, rendered in real time. Video streams in from subway stations and major intersections. A sophisticated weather program predicts rainfall across the city. A map glows with the locations of car accidents, power failures and other problems. The order and precision seem out of place in this easygoing Brazilian city, which on this February day was preparing for the controlled chaos that is Carnaval. But what is happening here reflects a bold and potentially lucrative experiment that could shape the future of cities around the world. This building is the Operations Center of the City of Rio, and its system was designed by I.B.M. at the request of Rio’s mayor, Eduardo Paes. There is nothing quite like it in the world’s other major cities. I.B.M. has created similar data centers elsewhere for single agencies like police departments. But never before has it built a citywide system integrating data from some 30 agencies, all under a single roof. It is the handiwork of an I.B.M. unit called Smarter Cities and, if all goes according to plan, it could lay the groundwork for a multibillion-dollar business. On this February day, Guru Banavar, an I.B.M. executive, stood on the balcony above the control room, watching the scene. Running a big city, particularly one as varied as Rio, makes running many companies seem easy. No wonder the market to supply cities with “smart” systems is expected to reach $57 billion by 2014, according to IDC Government Insights, a market research firm. I.B.M. wants a piece of that. It is expanding into the local government market as part of a plan to raise its annual revenue to $150 billion or more, Mr. Banavar said. 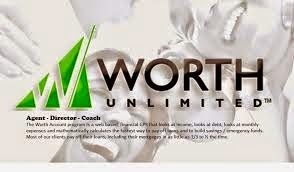 In 2011, the company’s revenue was nearly $107 billion. But even for a company like I.B.M., Rio represents a grand challenge. A horizontal city sprawled between mountains and the Atlantic Ocean, it is at once a boomtown, a beach town, a paradise, an eyesore, a research center and a construction site. Oil-industry giants like Halliburton and Schlumberger have been rushing to build research centers here to help develop massive oil and gas fields off the coast. Special police units have moved into about 20 slums, called favelas, in an effort to assert government control and combat crime. Rio is also reconstructing major arenas and building a rapid-bus system ahead of the 2014 World Cup and the 2016 Summer Olympics. This is a city where some of the rich live in gated communities while some of the poor in the favelas pirate electricity from the grid. And where disasters, natural and otherwise, sometimes strike. Rainstorms can cause deadly landslides. Last year, a historic streetcar derailed, killing five people. Earlier this year, three buildings collapsed downtown, killing at least 17. The complex conditions create a kind of hothouse for I.B.M. to expand its local government business. If the company can remake Rio as a smarter city, it can remake anywhere. AT 45, Mr. Banavar is the unofficial ambassador for Smarter Cities. He flies around the world, listening to mayors’ predicaments and overseeing the I.B.M. teams whose job is to produce the solutions. Since its start in 2010, Smarter Cities has become involved in several thousand projects. That Mr. Banavar was raised in Bangalore, India, now lives in New York and is married to a woman from Skopje, Macedonia, only bolsters I.B.M.’s global urban cred. It also helps that he embeds himself as he sizes up each city. One day last month, he stood at the central Praça da Bandeira intersection, a knot of streets and highway overpasses that connect northern Rio with the southern beach zone. The catalyst for the operations center was a torrential summer storm here nearly two years ago. Around 4 that morning, Mayor Paes started receiving alarming reports. There were landslides in some favelas, with the risk of many more. There were flash floods. Cars and trucks were stuck in rising water. But Rio did not have a predetermined location from which the mayor could monitor the situation and oversee a response. So he improvised. He had lived in Connecticut as a teenager and remembered how some American cities declared snow days so they could clear the streets. In the wee hours, he began calling television stations, radio stations and newspapers, declaring an emergency and urging people to stay home. The catalyst for the center was a 2010 storm and resulting landslides. At the time, Rio lacked a predetermined location for overseeing its efforts. Carnaval at the Sambadrome. During the citywide festivities, attended by millions, Rio's operations center coordinates scheduling, security and crowd control. “We had no plans for that, but it worked,” Mr. Paes said. In the city, 68 people died as a result of the floods and landslides, but the toll might have been worse if he hadn’t issued the warning, he said. Mayor Paes decided that Rio could do better. A month later, he met with Mr. Banavar and a team from I.B.M. Like a corporate chief executive, the mayor wanted to knock down silos among his departments and combine each one’s data to help the whole enterprise. He wanted his new operations center to open as soon as possible. PREVIOUSLY, I.B.M. developed crime control centers for Madrid and New York City, along with a traffic congestion fee system for Stockholm. But creating a citywide, interdepartmental system for Rio was a far bigger task. I.B.M. approached the challenge like a general contractor, managing the overall project while farming out some of the work. Local companies handled construction and telecommunications. Cisco provided network infrastructure and the videoconferencing system that links the operations center to the mayor’s house. The digital screens are from Samsung. I.B.M. incorporated its hardware, software, analytics and research. It created manuals so that the center’s employees could classify problems into four categories: events, incidents, emergencies and crises. A loud party, for instance, is an event. People beating up each other at a party is an incident. A party that becomes a riot is an emergency. If someone dies in the riot, it’s a crisis. The manuals also lay out step-by-step procedures for how departments should handle pressing situations like floods and rockslides. I.B.M. also installed a virtual operations platform that acts as a Web-based clearinghouse, integrating information that comes in via phone, radio, e-mail and text message. When city employees log on, they can enter information from, say, an accident scene, or see how many ambulances have been dispatched. They can also analyze historical information to determine, for instance, where car accidents tend to occur. In addition, I.B.M. developed a custom flood forecast system for the city. Mr. Banavar even recommended that the mayor create the position of chief operating officer to oversee the operations center, and the mayor agreed. The project cost Rio about $14 million, Mayor Paes said. If it all works according to plan, it could make Rio a model of data-driven city management. ONE evening in late January, a 20-story office building downtown next to the municipal theater collapsed, taking two other buildings along with it. Panic ensued. The operations center sprang into action. A city employee happened to be having a beer near the scene and alerted Carlos Roberto Osório, the city’s secretary of public works and conservation. At the operations center, employees alerted the fire and civil defense departments and then asked the gas and electric companies to shut down service around the scene. Others temporarily closed the subway underneath the site, blocked off the street, dispatched ambulances, alerted hospitals, sent in heavy equipment to remove the rubble and activated civil guards to evacuate nearby buildings and secure the accident site. The operations center’s Twitter feed alerted followers about blocked streets and alternate routes. Mr. Osório himself sped to the scene, from which he posted photos to his own Twitter and Facebook accounts. At least 17 people died in the collapse, and city officials said later that construction work inside the 20-story building might have knocked out load-bearing walls. Still, the city’s coordinated response was a victory for the operations center. “We were never able to react so quickly before,” Mr. Osório said. In early February, Mr. Osório was standing in the noonday heat in the middle of the Sambadrome stadium, overseeing the reconstruction of the samba school parade grounds two weeks before Carnaval. The city had promised to widen the space and add thousands of seats for the Olympics. Mr. Osório wanted the work finished on time. Many other sites here are under construction. That is because, after decades of neglect, the government and private companies are heavily investing in upgrading infrastructure and services like transportation. This includes a $4.5 billion waterfront revitalization project to remake the port area as a combination residential, business and tourism zone. Amid such changes, officials view the operations center as a stabilizing influence — and a selling point. Mr. Osório says officials are using the operations center to try to minimize inconveniences as well as to attract investment. Consider Carnaval. The biggest challenges for the city are the street performances, which involve about 425 mobile samba bands performing over four weekends at 350 different sites, Mr. Osório said. Several million people attend. With the operations center in place, the city now coordinates planning across 18 different agencies. Together, those departments assign time slots to the street bands and map their routes, as well as plan for security, street cleaning, crowd control and other needs. “In the past, each of them would do their planning separately and without talking to each other,” Mr. Osório said. Rio officials, meanwhile, have adopted Mr. Banavar as an honorary Carioca — a Rio native. Last year, Mayor Paes invited several I.B.M. executives and their wives to watch the samba schools from the mayor’s box at the Sambadrome. The Banavars sambaed until 6 a.m.
ONE evening last month, a fire broke out on Visconde de Pirajá, an upscale shopping street in the Ipanema district. Some Cariocas got out their smartphones and took pictures. Just before 7 p.m., Pitty Webo, an actress who lives nearby, began alerting her Twitter followers. A few minutes later, the operations center’s Twitter feed — @operaçõesrio — reported that traffic was being diverted. Luiza Amoedo, an event planner, joined the crowd gawking at flames in an adjacent square. Glass panes cracked and crashed into the street. Fire trucks arrived and a red helicopter dropped firefighters onto the roof. Down below, it was chaos. Nobody had cordoned off the square or moved onlookers out of the hail of glass. One end of the street was closed to traffic, but on the other side, a traffic officer redirected cars around the crowd. The operations center has received a lot of publicity here and abroad. (Last week, Mayor Paes attended a TED conference in Long Beach, Calif., where he participated in a panel about cities.) The center even has an on-site press room from which the Globo television network broadcasts traffic and weather reports. And yet many inhabitants have never heard of the center or, if they have, they’re not really sure what it does. Some wonder if it is all for show, to reassure Olympic officials and foreign investors. Some worry that it will benefit well-off neighborhoods more than the favelas. Others fear that all this surveillance has the potential to curb freedoms or invade privacy. Still others view the center as a stopgap that does not address underlying infrastructure problems. At least that was the prevailing view one Sunday afternoon in Armazém Saõ Thiago, an old bar in Santa Teresa, a historic neighborhood of cobblestone streets and colonial-style houses. For more than a century, the neighborhood’s signature attraction had been its bright yellow streetcars. But last year a trolley derailed, killing five people. The transportation department for the state of Rio de Janeiro, not the city, was responsible for maintenance and has halted the trams. Above the marble bar, a poster protesting the move depicted a streetcar crying a big white tear. Try telling that to Márcio Motta, the city’s hyper-vigilant subsecretary of civil defense. Since the landslides two years ago, Rio has installed sirens, wirelessly linked to the operations center, in 66 favelas. It has also staged numerous practice drills in which volunteers have helped evacuate residents. In real flood conditions, the operations center decides when to set off the sirens. That decision is based on I.B.M.’s system, which uses computer algorithms to predict how much rain will fall in a given square kilometer — a far more precise forecast than standard weather systems provide. When the program predicts heavy rain, the center sends out text messages to different departments so they can prepare. But it’s difficult for the public to appreciate when a crisis has been averted, Mayor Paes said. CAN I.B.M. turn small government into big business? You could think of Rio as a high-level science project from the same company that built Watson, the computer that plays “Jeopardy.” It is certainly good P.R. Seven years after I.B.M. stopped selling personal computers, such projects might help keep the company in the popular psyche. But I.B.M. is hoping that mayors the world over will develop Rio envy. To that end, the company has just introduced a product called the I.B.M. Intelligent Operations Center, which combines a number of the systems that were designed for Rio into a single product. Think of it as a smart city in a box. Some cities are already interested. Late last month, I.B.M. said Zhenjiang, a city of about three million people in eastern China, had bought the new system to manage public transportation. It also bought a custom analytics program to help predict and alleviate traffic jams along bus routes. And it is not just cities: the Miami Dolphins football team just bought the packaged product to manage visitor traffic at its 75,000-seat Sun Life Stadium. I.B.M. expects its Smarter Planet unit, which includes the Smarter Cities business, to have revenue of $10 billion by 2015. IT was 11:30 p.m. on a Tuesday at Carioca da Gema, a popular samba bar in the Lapa neighborhood here. Mr. Banavar’s Brazilian colleagues from the local I.B.M. office had gone home, but he wasn’t yet ready to turn in. Sitting in the balcony overlooking the dance floor, he was dissecting the bands he had just heard. Like a city or a multinational corporation, a samba band involves a lot of moving parts: musicians, singers, instruments, equipment, compositions, lyrics, improvisations — not to mention its audience. In Mr. Banavar’s view, the warm-up band had been in sync, but the singers in the headline band seemed out of whack. To this I.B.M.-er, everything could use a better system, even a samba band. And, the more complex the problem, the more valuable the solution.